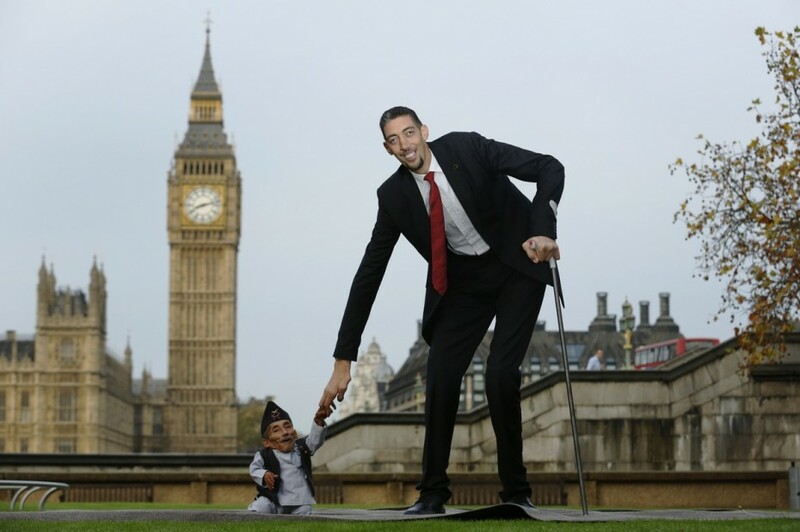 The world’s shortest man, Chandra Bahadur Dangi, greets the tallest living man, Sultan Kosen, to mark the Guinness World Records Day in London November 13, 2014.
via Photo: World’s tallest man hanging out with world’s smallest man – Boing Boing. This was written by John. Posted on Thursday, November 13, 2014, at 11:36 pm. Filed under Contributors. Tagged mediocristan, normal distribution. Bookmark the permalink. Follow comments here with the RSS feed. Trackbacks are closed, but you can post a comment.